Does your swimming pool need a remodel or complete facelift? Prevention of additional labor- and cost-intensive repairs in the future. When planning a pool and backyard makeover, you have a number of renovation options to consider. Let’s take a brief look at the wide array of possibilities for updates and modernizations. As you review your choices, keep in mind potential limitations. Some of the ideas listed here are not available in all areas of the U.S. Or, they may not be appropriate for your particular pool or backyard. Your local pool builder can advise which ones are best suited for your pool, backyard conditions, family needs, and region. Of course, your budget will also come into play. 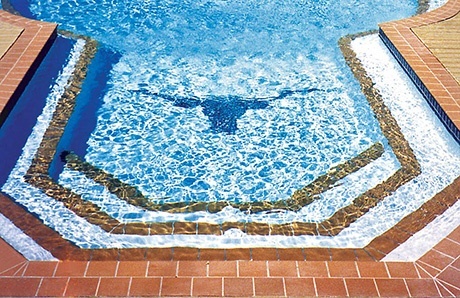 Among the most popular pool restorations is surrounding the interior perimeter with gleaming new ceramic tile. Because it’s highly visible even when you’re not in the pool, a new tile line will immediately freshen your pool’s appearance. Tile styles change and you have more choices than ever with a kaleidoscope of colors, patterns, and sizes. In warmer regions of the U.S.—and if you want to splurge—glistening iridescent glass tile is perfect to add some glitz to your pool. Replace a loose, cracked, and crumbling border with new material. Favorites include concrete, bull-nose brick, or safety-grip brick. You can also choose from a variety of natural stones like flagstone, travertine, quartzite, or even marble. Another item that’s on most pool-remodel hit lists is new plaster. Like carpet or flooring in your home needs replacing after time, so does pool plaster. Years of wear and tear can result in chips, mottling, color changes, and other forms of the material’s deterioration. If you have old-school white marcite plaster, it’s time to upgrade. Opt for a slip-resistant quartz aggregate finish that delivers long-lasting color and a more distinctive appearance. If your budget allows, you can opt for the Mercedes of interior pool finishes, colored pebble. If a new plaster job is on your remodeling agenda, then consider the introduction of mosaics as well. These stylish prefabricated additions are a simple, affordable way to add a touch of fun, sophistication, or personalization. Choose cheerful school of fish, an elegant Fleur De Lys, a family monogram, or any other number of colorful creatures, symbols, and decorative elements. 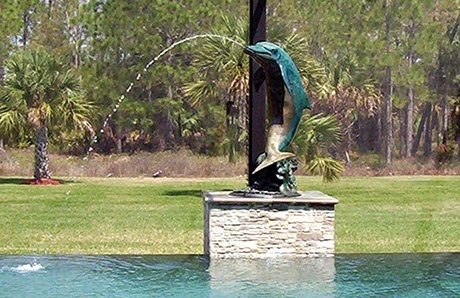 Create a new focal point in an otherwise-boring pool design by adding a water feature. On an existing structure, some of the top bets are faux and natural rock waterfalls, water-spouting sculptures, and deck-based laminar jets that arc into the pool surface and create liquid drama. These options are not suited for every remodel project; feasibility depends on your pool’s current configuration and whether or not you are replacing the deck—which impacts needed plumbing lines. If your deck is not slated for a redo, a water feature may still viable depending on the location of your pool equipment. 6. Install slide or diving board. Maximize family fun and fitness with a pool slide, diving board, or more attractive diving rock. Your kids will thank you, and so will young-at-heart adults. Keep in mind that adding this kind of accessory is not possible on every existing pool. 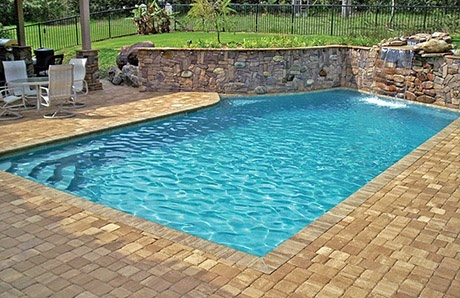 To help prevent obstructions and promote safe use, your pool must already have certain depths, space, and configurations to properly accommodate a slide, diving board, or diving rock. 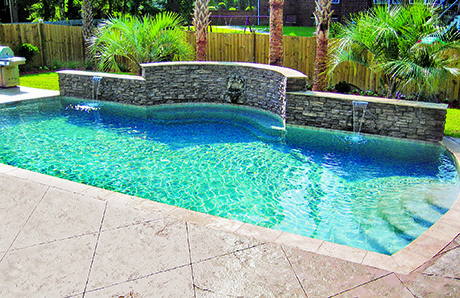 Your pool’s deep end can be more usable by reducing it. In the past, pools were often built with 8-foot deep ends—whether or not they actually needed the depth for a diving board. However, shallower pools are now the trend. They provide more area for people to stand, play, and engage in water activities. In addition, with less water capacity, shallower pools save some time and money to heat, circulate, and sanitize as well. Engineering will be required, and a depth do-over is more practical on a budget if your renovation plan will include a re-plaster. Stop reliance on liquid, powder, or tablet chlorine. Switch to advanced sanitizing alternatives that are gentler on skin, hair, nails, and eyes. One option is a saltwater system that generates a pure form of chlorine. 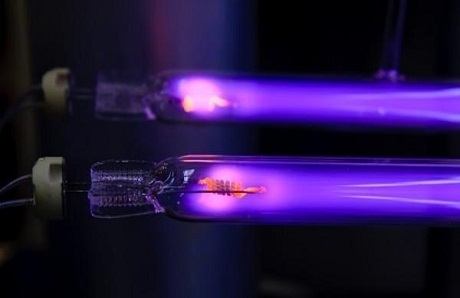 An even better method is an ozone generator. With ozone, your pool will require a mere fraction of the chlorine it does now! 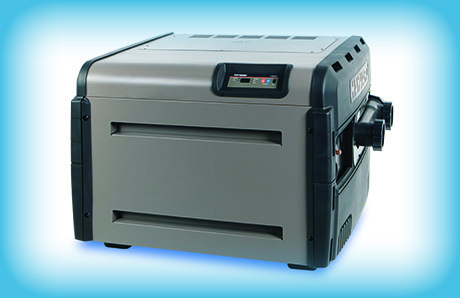 Couple ozone with an ultraviolet germicidal light, and you have a powerful technological duo for maintaining a healthy swimming environment without the usual, heavy chemical loads. 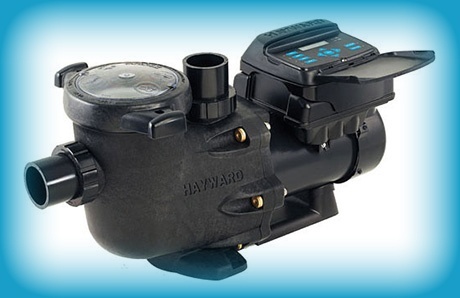 Warm your pool & spa faster—and with lower energy costs. Upgrade your old-school heater to the latest generation of ultra-efficient units. Choose from natural-gas heaters with a high thermal efficiency rating for faster heating and low NOx output levels for a healthier environment. In some areas of the country and depending on your family’s patterns of pool use, an electric heat pump can be an even better swap for energy savings. An outdated pool pump may be costing you money; likely, it’s is a single-speed version that gobbles up electricity even when running pool functions that require less power. Slash energy use in half with a new, energy-optimizing, multi-speed or variable-speed pump. These units operate functions like cleaning, heating, circulating, and water features using only the minimum energy needed for the task. Swapping to a current-model pump will mean your pool meets newer energy standards for states like Florida and California. Of course, cutting utility use and bills is a great move regardless of where you live! Tip: Check with your local utility company for any rebates for switching old pumps to efficient variable speed models. Save hassles and water by ditching your D.E. (diatomaceous earth) or sand filter for a convenient cartridge model. 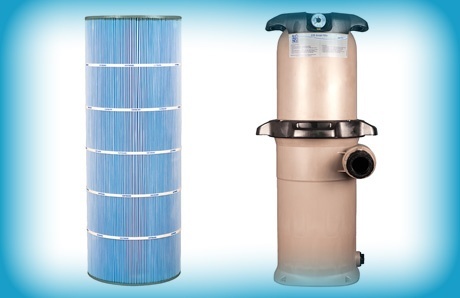 These filters don’t require losing massive amounts of pool water for the cleaning process known as backwashing. If you opt for a large-capacity model, emptying the filter will be needed less often. When you it does require some housekeeping, a quick hose down in all that’s needed. Another good move when selecting a unit is to opt for cartridges with antimicrobial product production. This agent helps keeps the filter material fresher by inhibiting growth of a slimy layer of unwanted microorganisms that can build up over time. It’s no fun having to walk over to your pool equipment pad to turn on your pool equipment, and it’s downright uncomfortable exiting a warm bubbling spa on a cool night to adjust its temperature. The good news is you don’t have to. 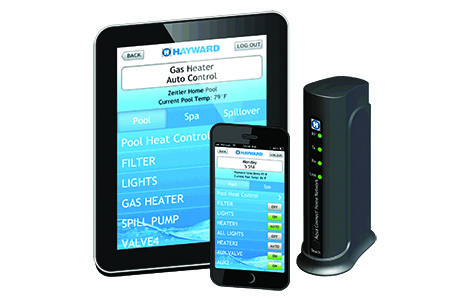 Get control of your pool & spa operation with state-of-the-art pool automation. You can add a tabletop remote, a handheld device or a system that works via PC, tablet, and smartphone. With pushbutton ease you can manage functions like lighting, heating, filtration, water features, and much more. Tired of that light in your pool’s deep end that resembles the headlamps on an oncoming car? Illuminate your swimming environment and surrounding area with the latest in dazzling LED lighting. 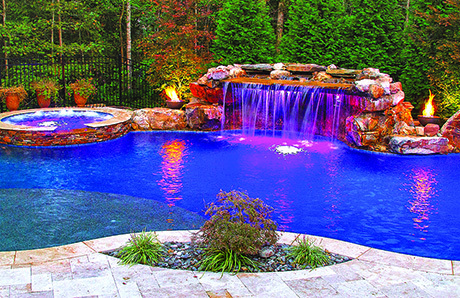 You will appreciate how today’s LED pool systems are both long-lasting and energy-efficient. And you’ll be wowed at how LED technology dresses up your entire pool and adjacent landscaping vivid colors that that you can switch with a push of button. Some LED systems even boast dazzling “lightshows” with hundreds of flashing colors in various themes and moods. If your patio is looking haggard, the solution may be a brand-new deck in brick, poured concrete, stamped concrete, concrete pavers, natural stone pavers, spray deck, or custom stone masonry. After having your original deck for some time, you may also realize that its current size and configuration may not meet your needs. If so, take this opportunity to expand the dimensions and the area it covers so it provides greater versatility for how your family uses—and would like to use—your backyard space. Got bugs? If you live in Florida or a tropical-climate region of the U.S. along the Gulf Coast, flying invaders like horse flies and mosquitos can be major nuisance when you’re trying to enjoy your pool. 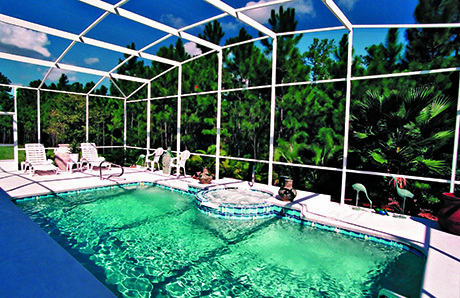 Protect swimmers by enclosing your pool and patio area with a screen room that’s designed to keep out the pests. Some styles of these enclosures also help provide a bit of reduction in the intensity of the sun’s rays. Your pool professional will be able to provide more specific information on the options listed here. Based on your particular pool, backyard, and needs, your contractor may have additional suggestions. You may also receive recommendations regarding other elements in your backyard. These can range from addressing drainage issues to adding a complete outdoor kitchen for enhancing backyard living. Ready to get a jump start on pool and patio refresh? 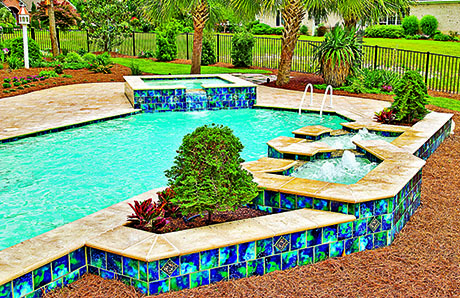 Prepared to improve your pool’s visual appeal and functionality? Hoping for technology that cuts your monthly utility bills? To speak to a pool-remodeling expert about the options available, contact a reputable pool builder. 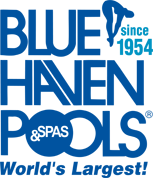 For your local Blue Haven Pools office, you can view a national office directory here. Many homeowners wait until spring to think about remodeling their existing pool. That’s a mistake. Autumn is an ideal time for pool makeovers. The kids have gone back to school, the temperature is dropping, and your backyard pool won’t be seeing as much action. That’s why fall time provides a great period for tackling any work your pool and patio area may need. 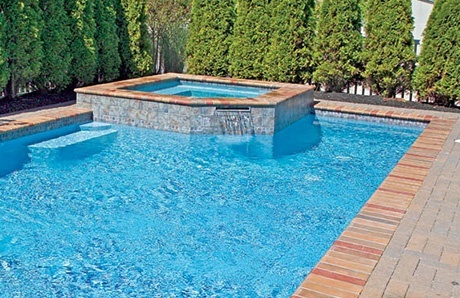 Even better: By fall, the busy pool-building season has slowed for swimming pool contractors. With fewer jobs on their construction boards, companies are looking to keep their crews working. As a result, some of the most-in-demand pool professionals will take on remodeling projects that they might not consider when it’s April and phones are ringing off the hook. Be smart, and plan ahead for spring by initiating your remodel in the fall! Next year, you’ll be smiling (and making the neighbors jealous) when your family is able to use your pool as soon as the weather warms.